Most of us know that hedgehogs hibernate, which means surviving for several months without food or water while living off fat reserves laid down during the autumn. As autumn progresses, people often ask what food they can put out to help provide their local hedgehogs with vital calories. There are a lot of mixed messages circulating online, on social media in particular, about hedgehog hibernation and what to (and what not to) feed hedgehogs. Now’s the perfect time to clarify. More than just a long snooze, hibernation is a sizeable physiological readjustment. Hibernating mammals undergo a significant drop in body temperature, their breathing and heart rate slows right down, and there are even changes in blood circulation, immune system and metabolism. The hibernating animal survives by metabolising (burning) its fat reserves, and this can be quite a precarious activity, particularly if the winter is long or there are mild periods interspersed with cold weather. Long winters can result in hogs running out of fat, while mild interludes cause them to “wake up” periodically, burning a lot of irreplaceable fat in the process. Indeed, hibernation is inherently risky and not something to be undertaken lightly. The fact that hibernation is dangerous and many, particularly yearling, hedgehogs won’t survive it suggests the behaviour has (or had) strong evolutionary drivers. The overarching “purpose” of hibernation is to reduce activity to a bare minimum during the time when food is scarce or unavailable (e.g. under snow or deep below the frozen topsoil). In times before hedgehogs could rely on helpful humans leaving out food for them during harsh winters, hedgehogs were almost invariably faced with starvation if they did not hibernate. Interested in learning more? There’s an overview of hibernation in my associated QA and you can read more about the specifics of hedgehog hibernation here. When do hedgehogs go into hibernation? Any time from late September to late November is typical, but there are no fixed dates. We think the trigger to hibernate is a complex interaction of temperature, light levels (specifically the ratio of light:dark hours), food availability and body condition. As such, the same animal may enter hibernation on different dates in different years. Typically, males enter hibernation before females, probably because they have more time in the summer and early autumn to fatten up, while females may still be weaning a second or late-born litter. 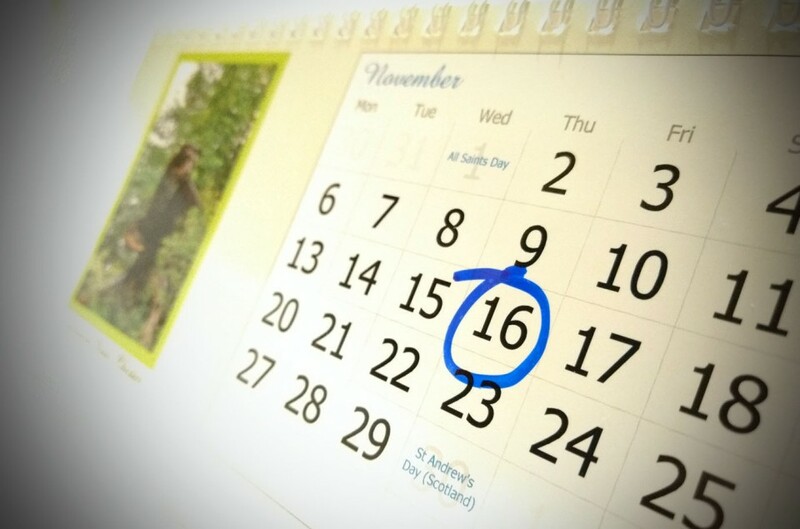 Consequently, some females may not hibernate until well into December or even January. What does seem apparent, though, is that all hedgehogs hibernate at some point, even those kept in captivity. I sometimes see hedgehogs out when it’s cold, even in the snow. Is this a sign something’s wrong? Not necessarily – winter activity is not uncommon or abnormal for hedgehogs. Based on the trailcam videos from my garden, our local hedgehogs are active during September and October even when temperatures drop to 0C (32F). Furthermore, hedgehogs are vulnerable to frostbite, even freezing, if their body temperature drops below 4C (39F); this is a significant danger if the temperature inside their nest falls below 1C (34F) and they may leave nests during very cold weather to avoid freezing to death. Pat Morris recorded hedgehog roadkill in all months of the year in London during the 1960s. We know from lab studies that the best temperature for hibernation (i.e. that at which a hog’s metabolism is most efficient) is 4C (39F). 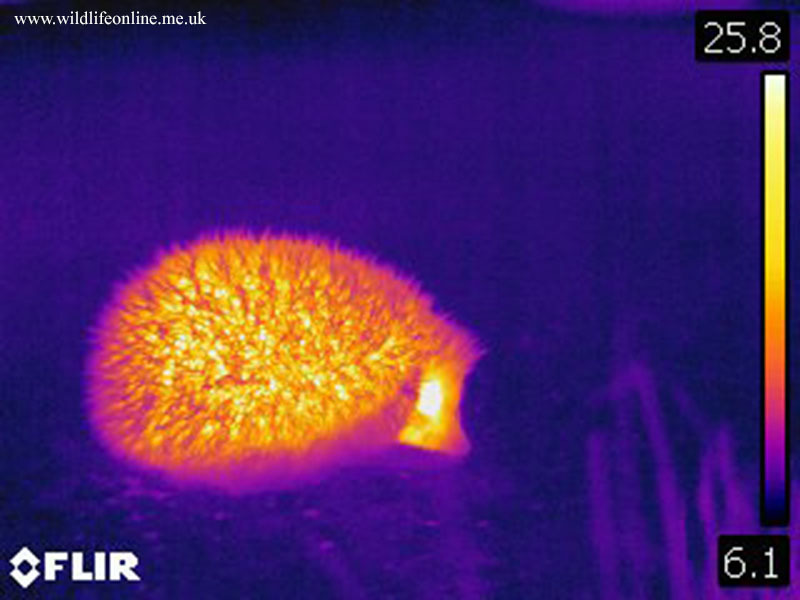 At the same time, a hedgehog’s hibernaculum (the winter nest in which a hog hibernates) is usually very well insulated, such that the temperature inside will remain between about 1C and 5C (34-41F) even if the temperature outside varies between -8C and 10C (18-50F). The insulative properties of the hibernaculum are dependent on both the available materials and the skill of the builder, however, meaning some are better than others. Similarly, the body size of the hibernating animal influences its tolerance to cold. Consequently, some animals, particularly smaller ones, may leave their hibernaculum when the outside air temperature drops a couple of degrees below freezing. These animals will benefit hugely from food and water left out in gardens. Finally, studies to date suggest that even under stable conditions hibernation is not a continuous process. Hedgehogs wake up periodically and move about in the nest before settling back down. In some cases, the animal will leave and make a new hibernaculum in the middle of winter. 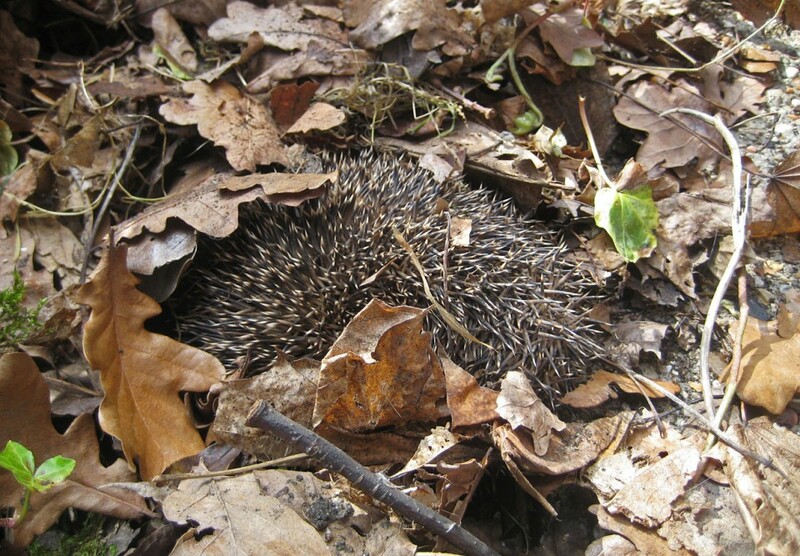 In a study of almost 170 nests over six consecutive winters, Pat Morris found that only two were occupied for the whole winter – almost two-thirds were occupied for two months or less before the hedgehog moved. If I put food out now, will it stop my hedgehogs hibernating? It may delay hibernation, but there’s no empirical evidence that it stops it altogether. There’s also no evidence that we’re harming hedgehogs by putting out supplemental food for them, provided food is appropriate. What can I feed the hedgehogs visiting my garden? Not bread and milk, because hedgehogs are lactose intolerant, and not mealworms, peanuts or sunflower hearts. These latter three food items are frequently offered to hedgehogs and, mealworms in particular, are eaten with relish. In a conversation last year, Philip Baker of Reading University referred to mealworms as ‘cocaine for hedgehogs’ and it’s certainly true that many will eat them to the exclusion of anything else as a child may much prefer sweets to vegetables. The problem with these items is that they’re all high in phosphorous and low in calcium. The ratio of minerals is important to our bodies and the ratio of phosphorous to calcium is particularly critical to the development and maintenance of structural components such as teeth and bones. A diet rich in phosphorous but low in calcium can result in reduced calcium deposition in these structures, leading to conditions such as arthritis and metabolic bone diseases. In other words, mealworms, peanuts and sunflower seeds have the potential to cause bone-thinning in hedgehogs, particularly when eaten in any significant quantity. 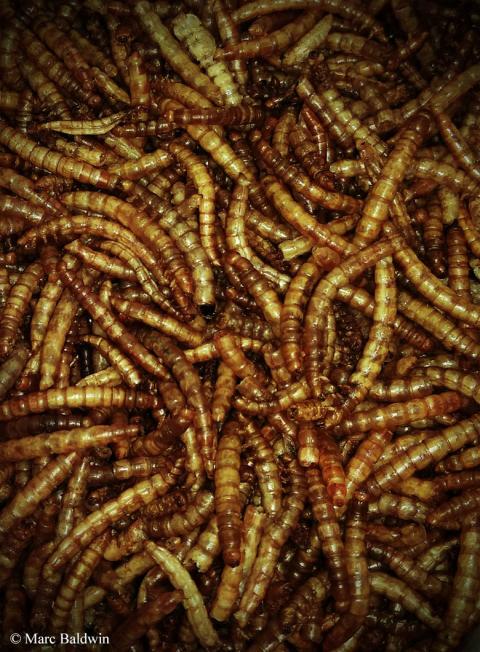 People often say that they offer mealworms only in moderation, as a “treat”. The problem is that if lots of people in the neighbourhood are doing the same it can soon add up. It’s akin to sending your kid trick-or-treating for Hallowe’en – each householder only gives them a few sweets, but by the end of the night the pumpkin-shaped bucket or pillowcase is full. Hedgehogs may travel a couple of kilometres in a single night and can visit a lot of gardens in that time. Ergo, it’s better to err on the side of caution and leave these items off the menu altogether. 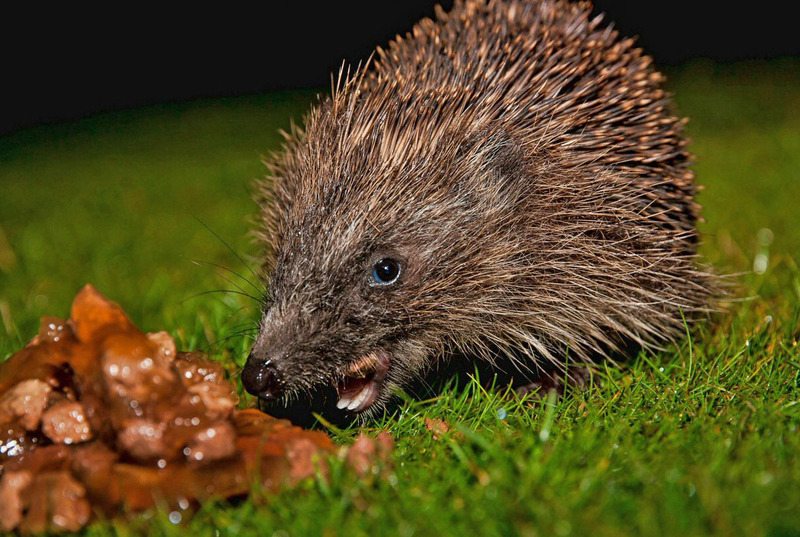 “But my hedgehogs will only eat ” is the cry often uttered by wildlife enthusiasts. In my experience, however, new foods are only snubbed for a few days before the hedgehogs get used to them. Once they realise that’s all they’re getting, the new food is often gone by morning. I have noted this on several occasions and when I switched away from mealworms and suet pellets (which are mostly fat, flour and colouring) to biscuit-based food, the new food was virtually untouched for a week. Now it goes every night and the trailcam shows that it’s the hogs and not the local cats taking it. So, if mealworms et al. are off the menu, what can you offer? It’s worth mentioning that different hedgehog rescues will have different opinions on this; some advocate feeding wet dog/cat food, while others advise against it. In the end, many rescues feed their charges meaty wet cat or dog food and the hedgehogs seem to do well on it. Fish flavoured food is generally advised against, because it can cause potent-smelling droppings. (Contrary to popular misconception, fish flavoured cat food is not toxic to hedgehogs.) Wet food can, however, get stuck around the teeth and cause dental/gum issues so, if you’re supplying it, it’s advisable also to provide some biscuits as well, which help clean the teeth. 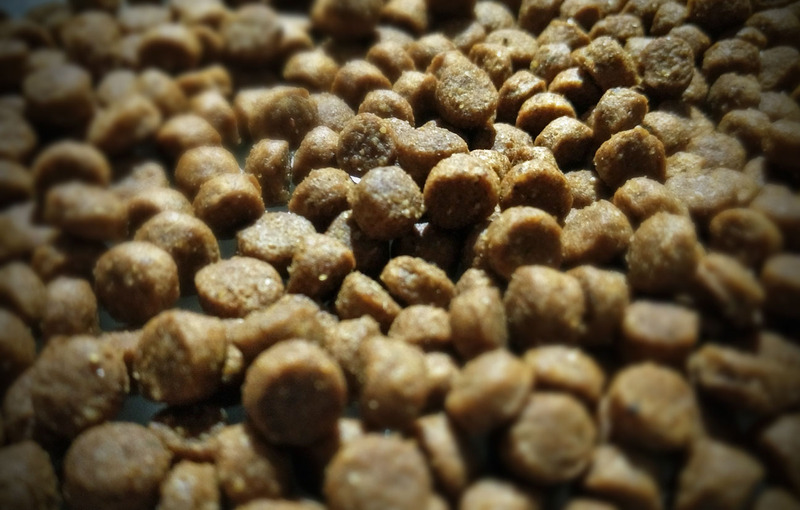 While some rescues don’t advocate wet food, all that I have come across so far do recommend either the shop-bought hedgehog food or complete cat (or small dog) kibble. I feed the hedgehogs visiting my garden a supermarket brand of complete dried cat food and they seem to enjoy it… after a few days of turning their noses up completely! Remember, feeding hedgehogs is not about trying to replicate their natural diet – that’s virtually impossible. Instead, it’s about providing a balanced alternative/supplement to their natural diet. An aspect of supplementary feeding that’s often overlooked is the provision of fresh water. A readily accessible source of water is just as important as, if not more important than, the food, and this is particularly so if dried food is being offered and during periods of prolonged hot/dry weather. The water should be changed every day and is best supplied in a heavy bowl, because hedgehogs are adept at knocking their water and food over. Indeed, the first night after I build a drinking station in the garden the trailcam recorded footage of a hedgehog wading through the bowl of water as though it was an inconvenient obstacle, rather than my attempt to help them out. As well as the drinking station, I also provide a small bowl in the feeding station that I have stuck to the ground in a bid to prevent the visitors from knocking it over. This is broadly successful, but it doesn’t stop the hedgehog standing in it while drinking or walking through it. How do I stop cats/rats/foxes/etc taking the food? It is impossible to stop rats and mice from getting access to the food. It’s just one of those things that when you put food out there’s the potential to attract non-target species. If attracting rodents is an issue for you, or they begin showing up in significant numbers, you may simply need to stop putting out food, or look into a rodent repellent. All but the most determined cats and foxes can be deterred by constructing a feeding station. 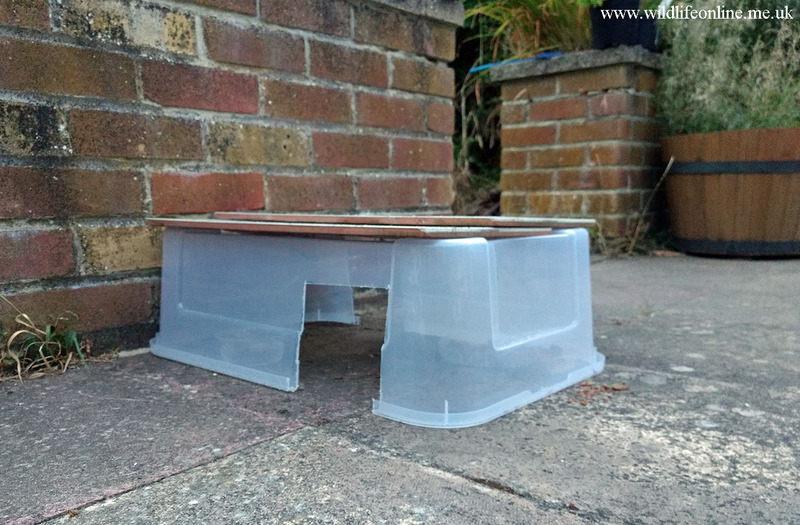 You can buy readymade units at garden centres and online, most of which come with a right-angled entrance tunnel that prevents larger animals gaining access. A feeding station need not be complex or expensive, though, and there are several guides to building your own online. Mine is an up-turned plastic box that cost a couple of pounds, with a couple of 13x13cm (5x5 inch) holes cut into the sides and old floor tiles wedged against the sides. Footage from my trailcam suggests that the local cats investigate it most nights, but none have thus far gained access to the food, while the hedgehogs have no problems getting in. It’s worth remembering, though, that some cats and foxes can be quite persistent, and you may need to work a little harder to secure your feeder. There’s plenty more information on helping hedgehogs on the British Hedgehog Preservation Society’s website, including an extensive quick-fire Q&A. Additionally, my Helping hedgehogs article discusses some of the above topics in more detail. Finally, if you want to know more about hedgehogs in general, check out my Natural History of the European Hedgehog article.